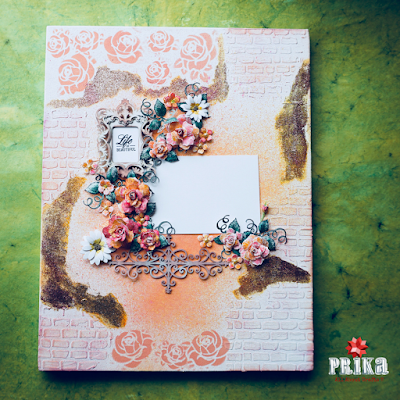 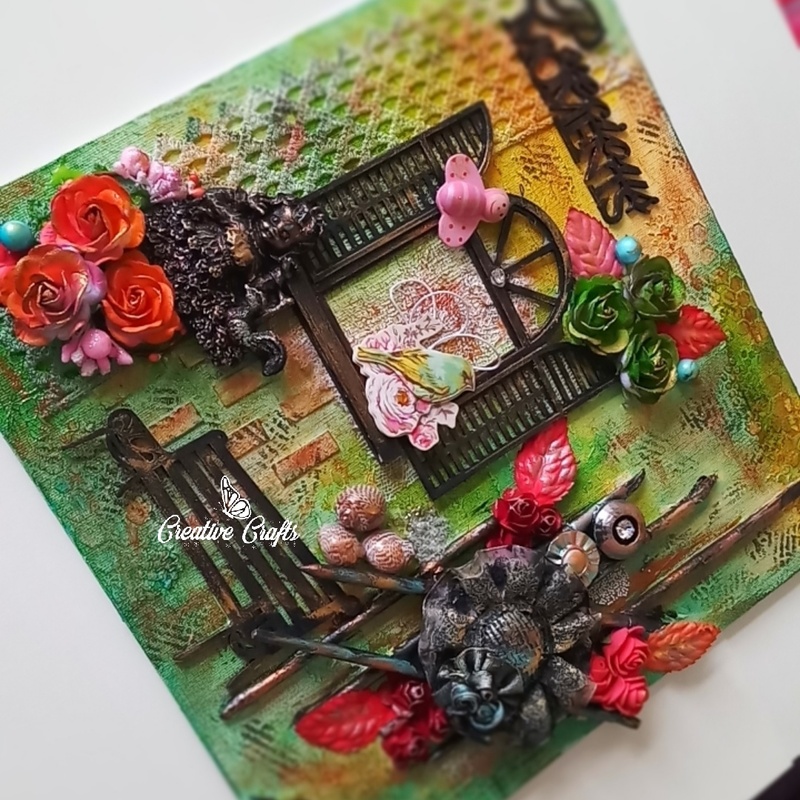 So finally I am here sharing my first trial with mixed media layout with classic roses….itn’t it gorgeous? Never thought this project would come so good and that too on my first trial. 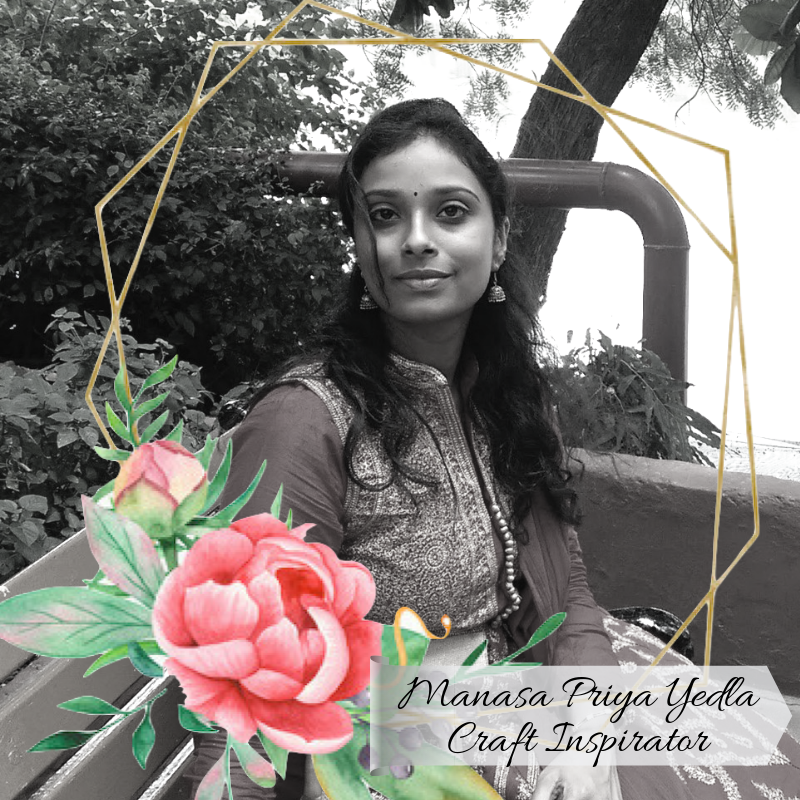 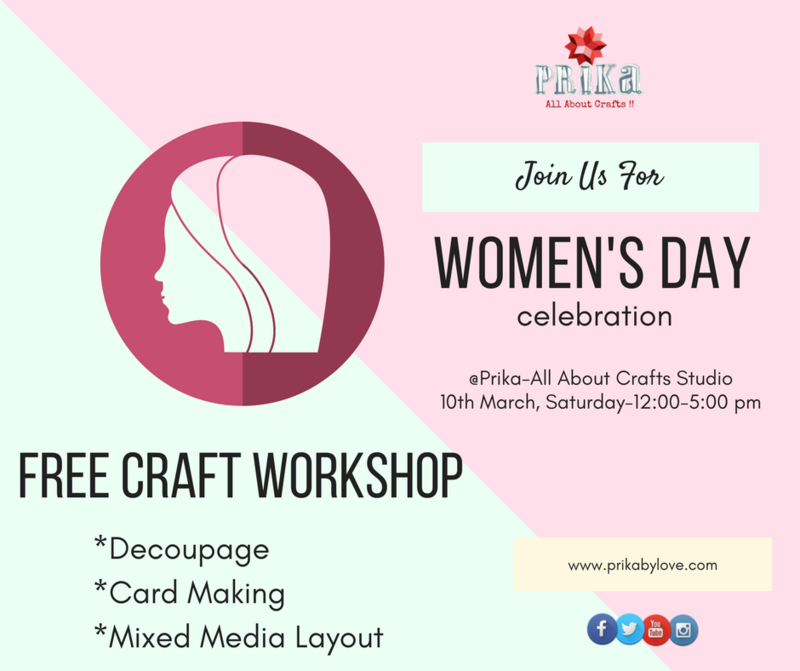 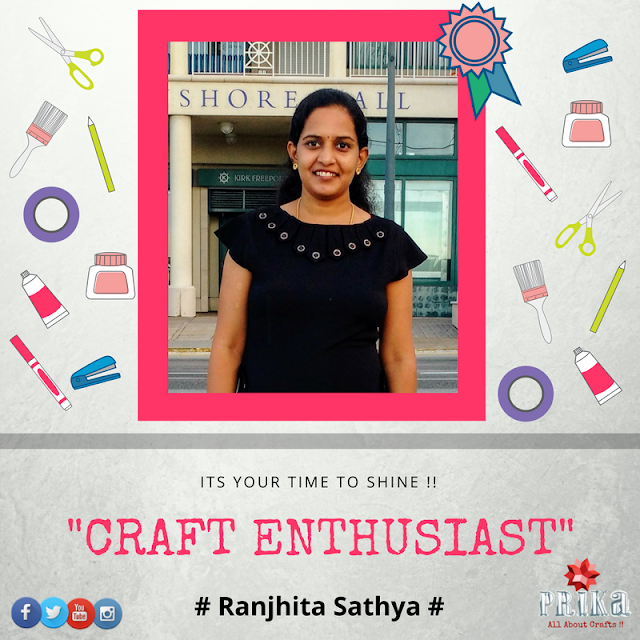 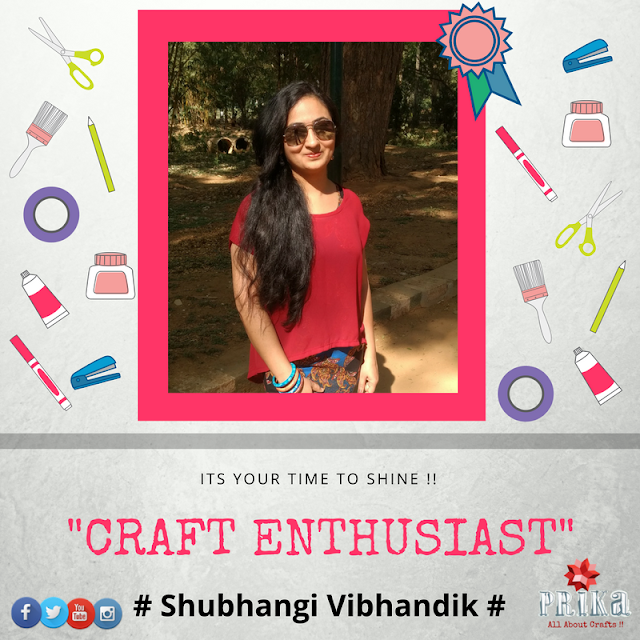 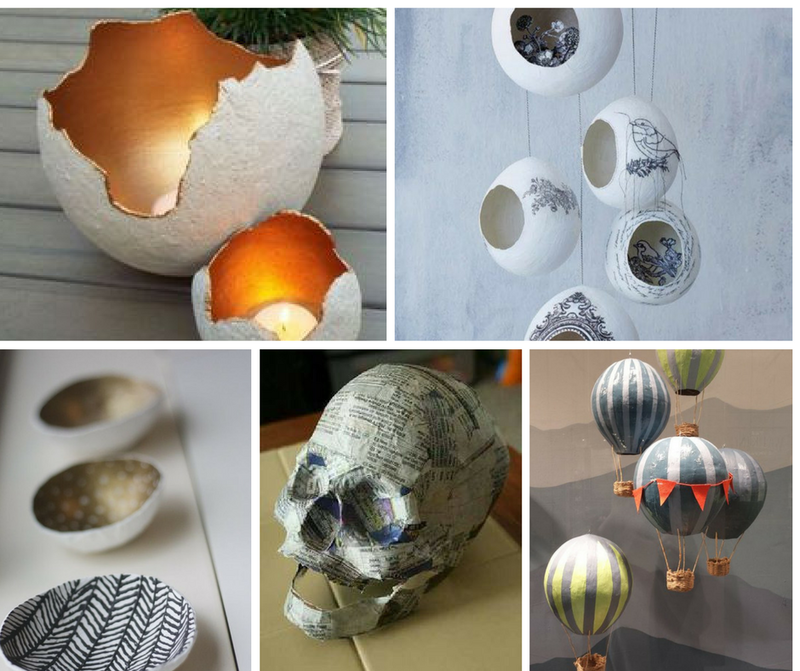 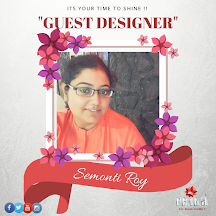 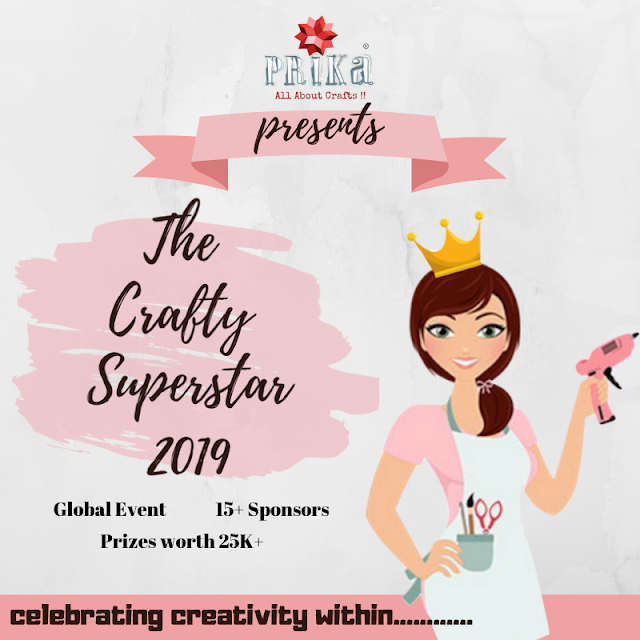 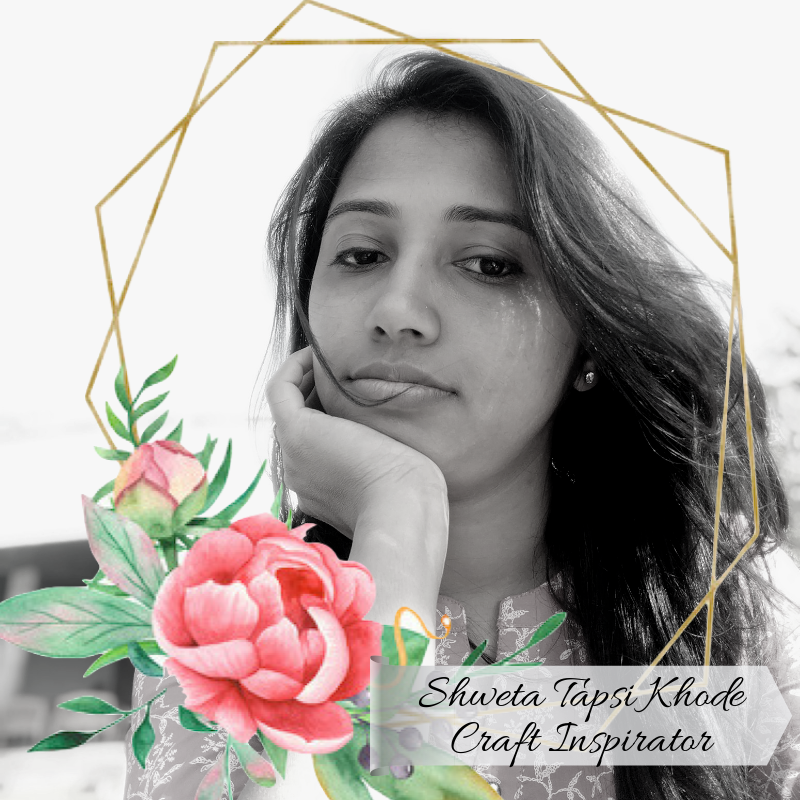 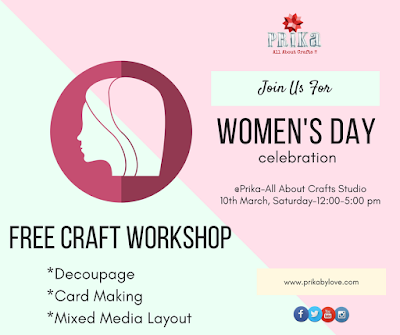 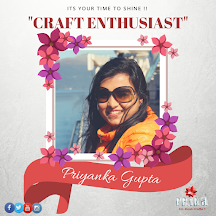 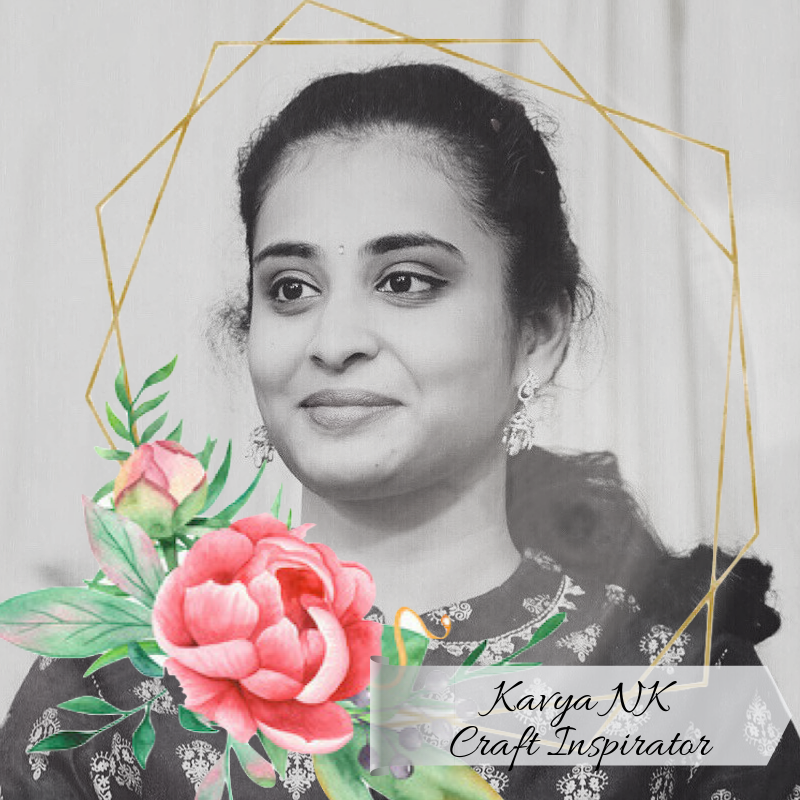 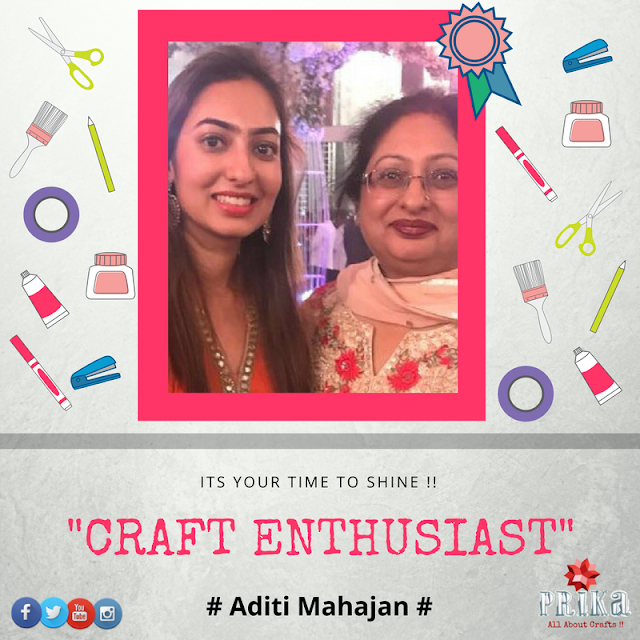 We never have an idea where life takes us and we begin to realise its making us happy and fulfilled….We bring you another story of a crafter “Craft Enthusiast of the Week…..Shakti Arora” who is based out of delhi and never thought of being a crafter and perusing it as a full time. 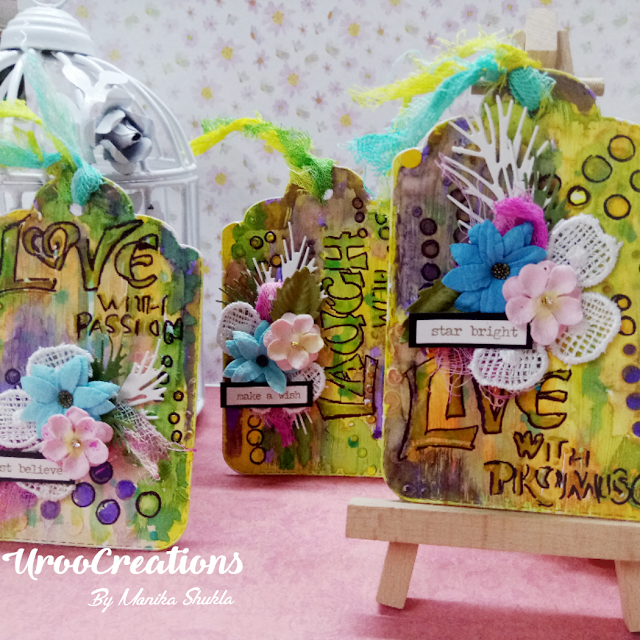 Now she loves to explore her self with something new everyday, trying out all different kinds of projects. 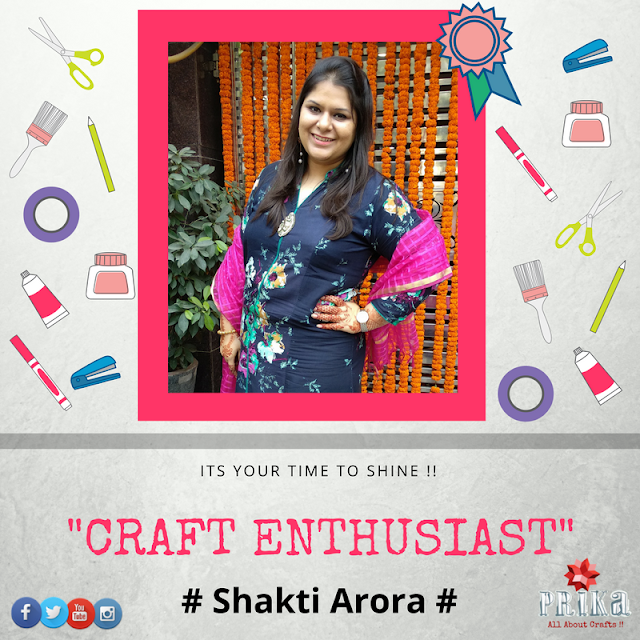 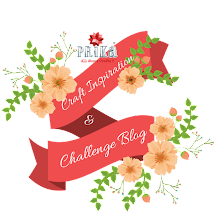 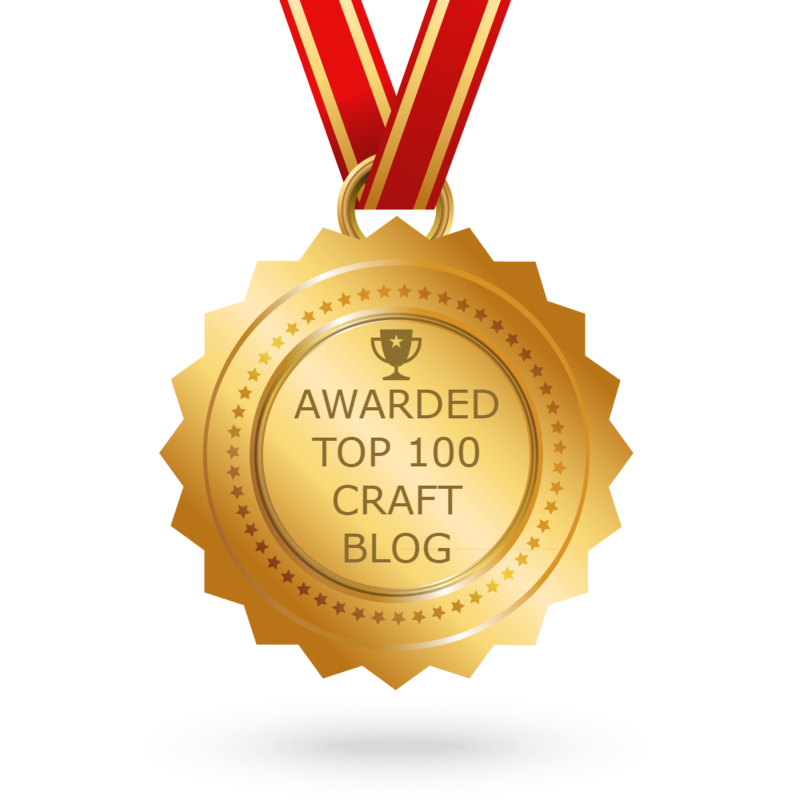 This is what Shakti speaks about her journey as a crafter and her story of being a craftpreneur…. 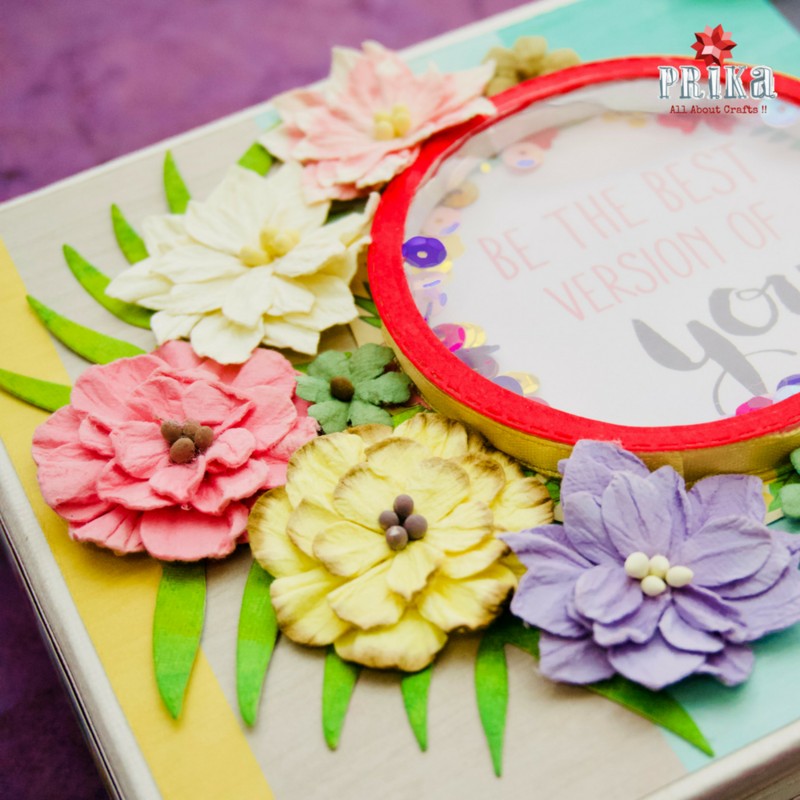 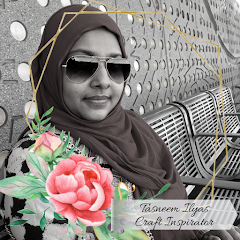 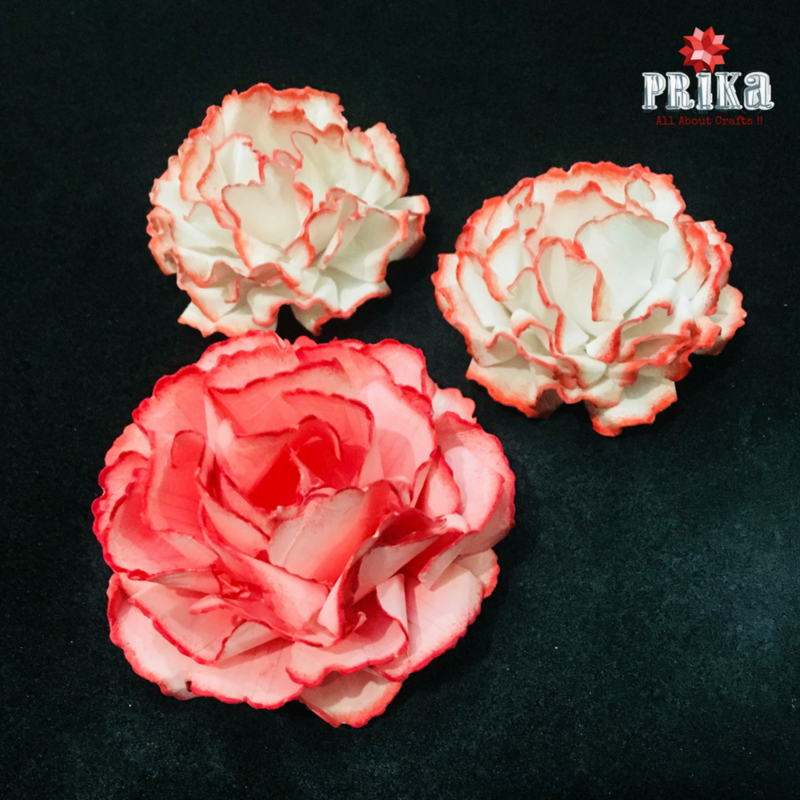 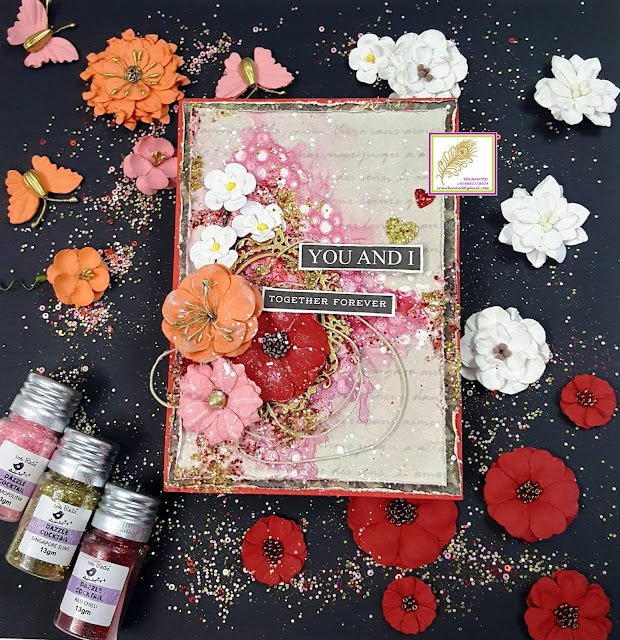 Icould not stop myself to try my hands on this new collections of peony flowers by heartfelt collections and so decided to come up with this mixed media layout using the same. 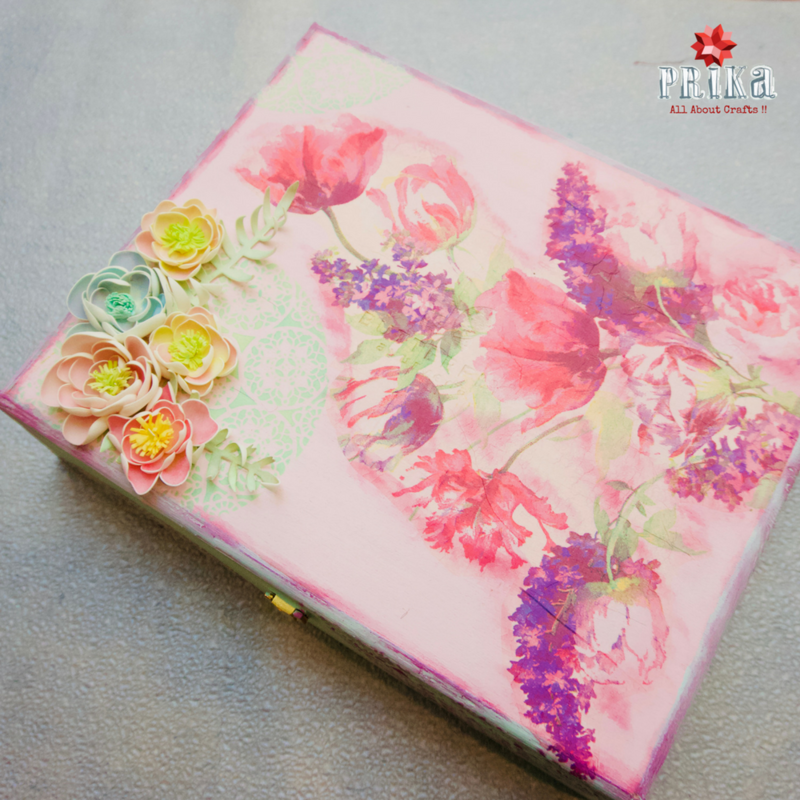 I saw the flower itself has a pictorial view in pink but I thought to make it a little different in lavender shades. i am not much of a mixed media person just my second trail since i loved the way flowers can be placed on the layout to give it an extra special look. Iused lot other supplies to finish my layout and to begin with I used a plain canvas, jute rope from my own sources and mixed media paste, script and honey comb stencil from Little Birdie, Textured Paper, Lace Design Paper from Little Birdie, Splash Colours blue and voilet from Little Birdie and All the dies Blue, Lavender by Tubby Craft, Brown one is Distress Oxide and off courser ny Favourites Heartfelt Creation Peony Collection Stamp and Die Set. 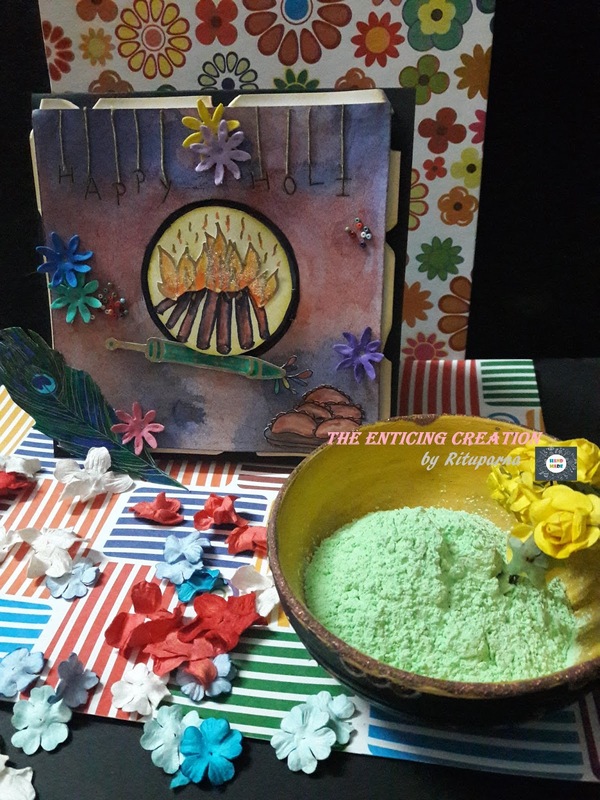 I am so excited to show my colorful and vivid colors Holi creation and this is for my family! 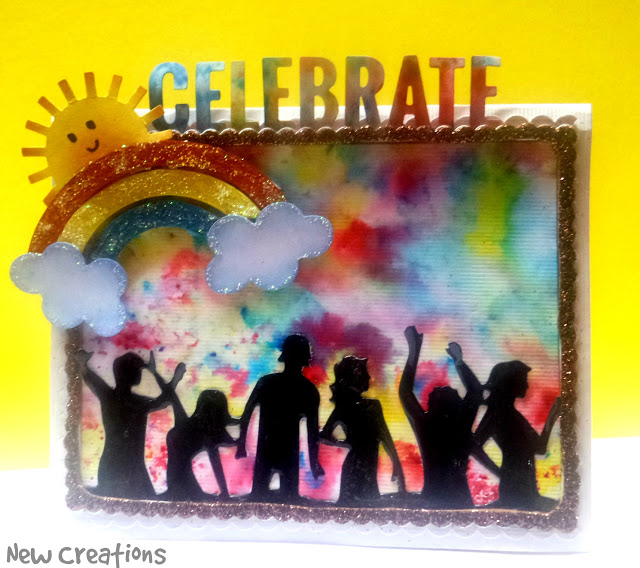 In India, this is a celebration time to enjoy the Holi festival! 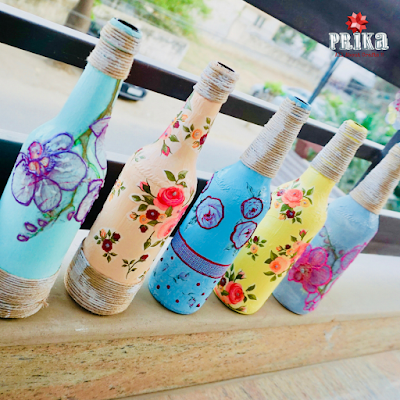 It is a festival of colors, fun, eating, gathering!!! 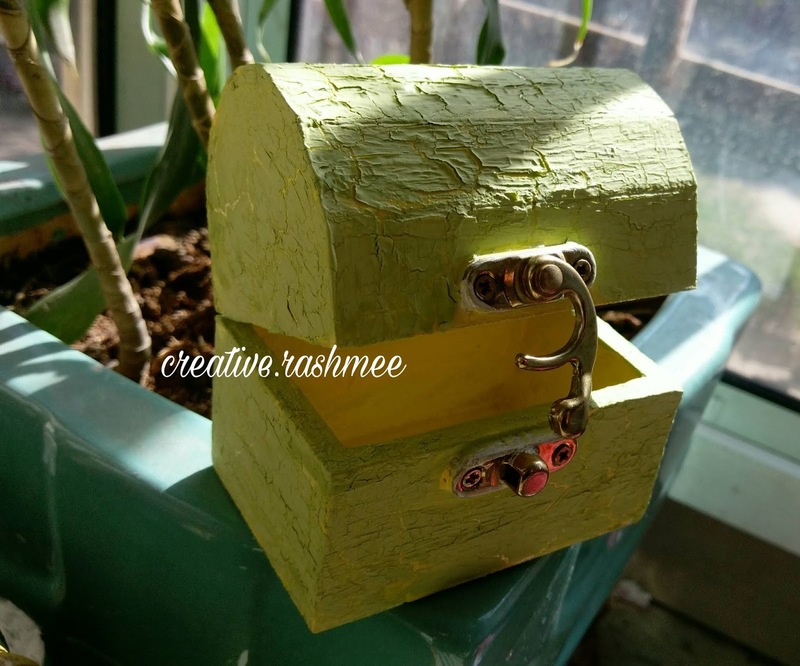 So here is my creation! 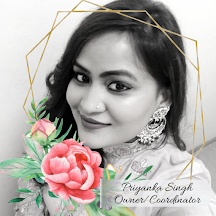 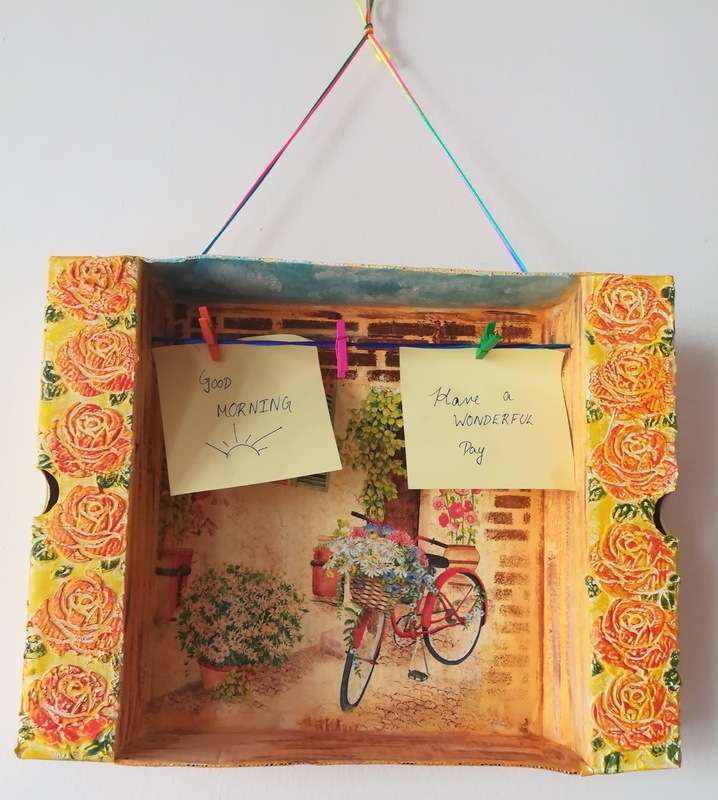 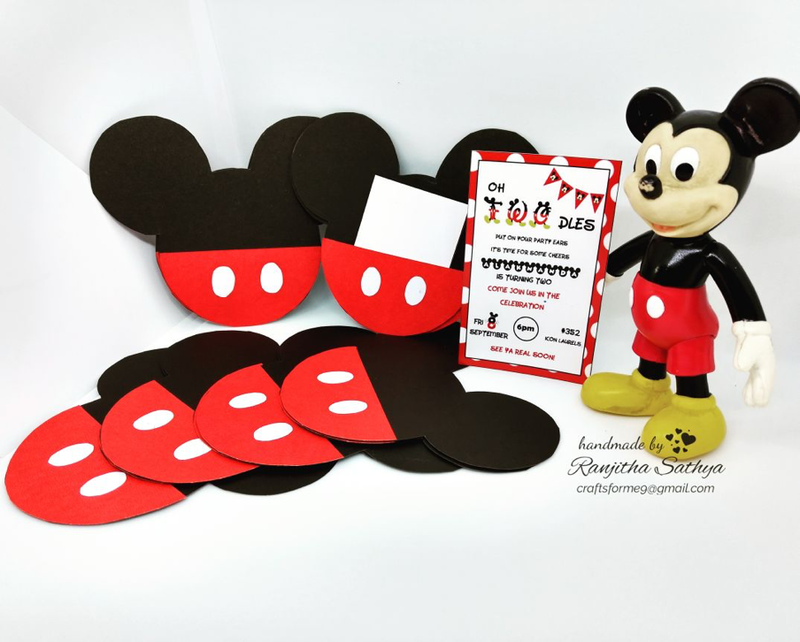 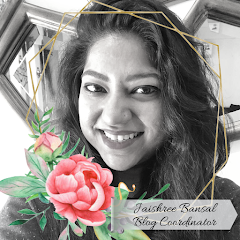 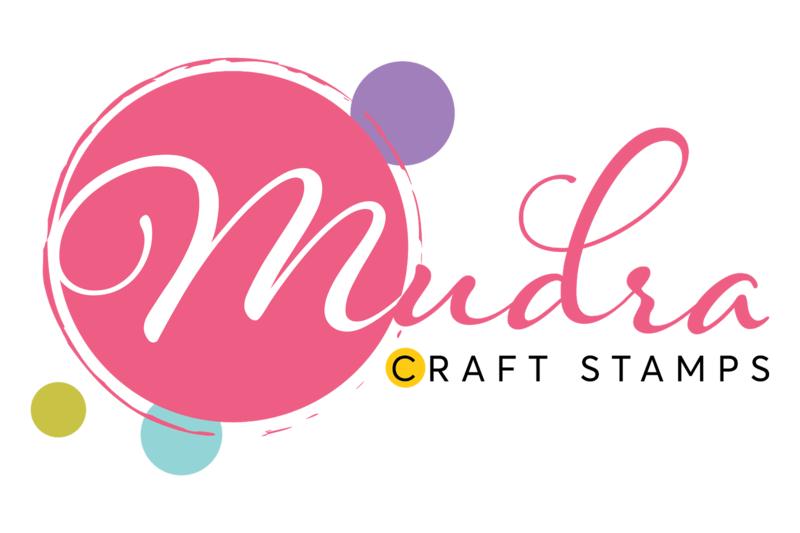 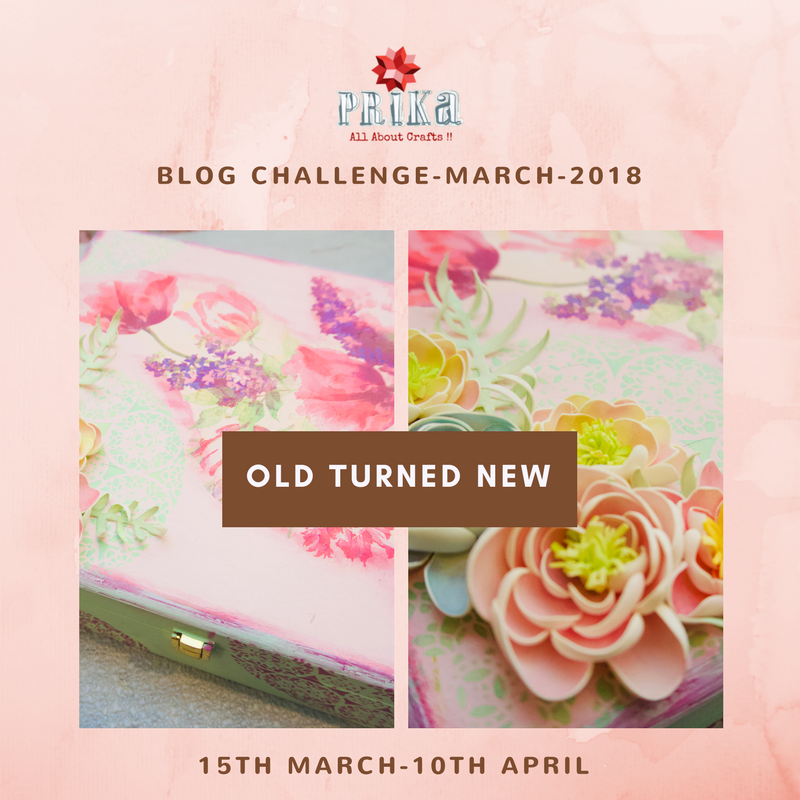 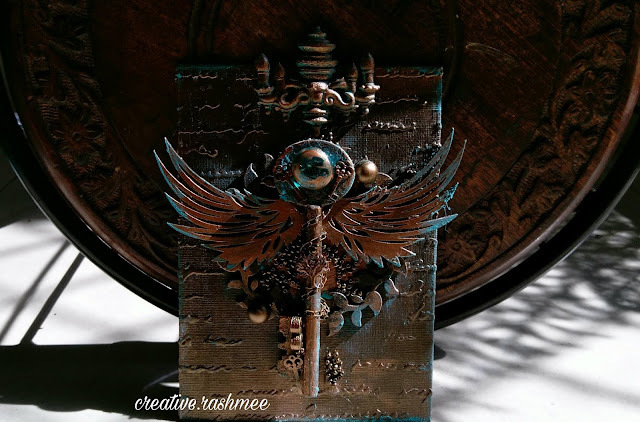 Myself Rashmi and today I am here with an interesting project for making an altered treasure box to gift someone with some surprise gifts or may be some chocolates and sweets. One thing different about this box is that I have got the crackled effect on the box to look a little aged and something which is new these days.